Specializes in True-story, Drama, Sports, Romance, Comedy Features and TV. 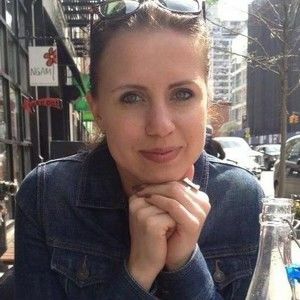 Sissy Denkova is the Development Coordinator at Gidden Media, a content incubator production company, focused on developing emotionally compelling stories about people that resonate with wide audiences. Gidden Media was founded by Amy Baer. As a studio executive and producer, Baer has supervised and/or produced films that have grossed nearly $2 billion in worldwide box office. Gidden Media recently developed and produced MARY SHELLEY with Elle Fanning, which was distributed by IFC in 2018, and BRIAN BANKS, which just won the Audience Award at the 2018 LA Film Festival, directed by Tom Shadyac and starring Aldis Hodge and Oscar-nominated Greg Kinnear. Prior to founding Gidden Media, Ms. Baer was formerly the President & CEO of CBS Films, the Vice President of Production at Tri-Star Pictures, the Executive Vice President of Production for Columbia Pictures.